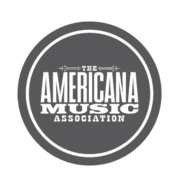 We are excited to announce that two of Frank Solivan and Dirty Kitchen's songs were honored last night at the Mid-Atlantic Song Contest held at Jammin' Java. Not only did "Cold Spell" and "Chief Taghkanic" take gold in both the Country/Bluegrass and instrumental categories, but the song, "Cold Spell" won the Overall Grand Prize! Nice work and congrats to all of the nominees and winners!